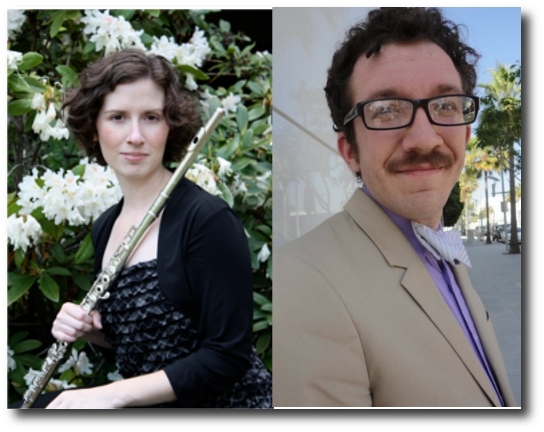 Beta Test will be hosting saxophonist/keyboardist Mark Zelesky and flutist Alexis Del Palazzo. They’ll be performing a selection of solo works as well playing a piece together. See the facebook event. Come enjoy a night of music at Dalet Art Gallery, which will be presenting the art of James Pryor in a show entitled When All Is Said And Done. All for the low price of $10.00!Alexis Del Palazzo is an Andover Educator trainee, active performer and devoted teacher residing in Central Pennsylvania. She is an ardent advocate of new music and creating performance opportunities in the local community. In early 2012, she premiered Peter Amsel’s Museum Triptych for solo flute at Moonstone Arts Center. At the community level, she is a board member and resident artist of the Wednesday Club of Harrisburg, PA.Her passion for teaching and outreach has led to her work being published in Flute Talk magazine. She has presented workshops on teaching and practicing with extended techniques for the Rochester Flute Association and the Southeast Pennsylvania Flute Fest. Most recently, Alexis presented her workshop on Holistic Practice at the National Flute Association’s Convention in Las Vegas, NV. She holds a Bachelor’s of Music degree in flute performance with special distinction from the University of Oklahoma-Norman where she studied with Dr. Valerie Watts. Mark Zelesky is a musician and librarian from Chicago. While his initial training at Northwestern University focused on concert saxophone, he has since expanded his arsenal to include electric piano, clarinet, oboe, toy piano, recorder, reed organ, synthesizers, and voice. In his music, he explores the intersection of ‘60s and ‘70s avant-garde, contemporary popular and classical music, and jazz. By using his one-man orchestra of vintage keyboards, woodwinds, household objects, and other instruments, he creates a unique soundscape that is at once looking back and exploring new territory. Mark has recently started a blog and YouTube channel as the Pop Minimalist. He is also an active collaborator in the Philadelphia chamber music scene, performing with Beta Test and Murmuration, a group that specializes in improvised classical music, playing saxophones, clarinet, and keyboards.